Shopping for brass instruments used to be easy – you would go to the local music store, play the 4 or 5 (or more, if you were lucky) models they had in stock, and buy one of them. If you wanted the best trombone for your needs, you went to the shop, played a few and selected one. So what’s the catch now? With the advent of the internet, suddenly you aren’t limited to your local music store’s selection – you can trombone shop around the world from your kitchen table! This guide will help you to understand what you need to know when selecting from the best trombone brands online. See below for more details on brands and reviews of online purchase options. 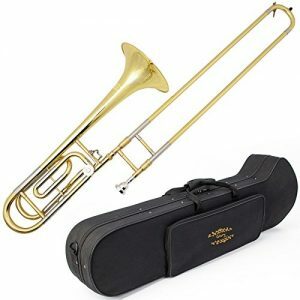 While the internet is great for comparing the prices and features of trombones, you can’t play the trombones virtually (at least, not yet), and it seems like eBay, online stores, and even local music stores are full of cheap and badly made instruments sitting right next to quality trombones! 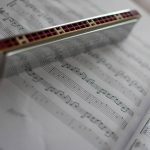 Add to that the fact that it can be difficult for the average parent or young trombone player to know the difference, and you have a recipe for spending lots of money for an inferior product. Can younger players smaller in stature play trombone? 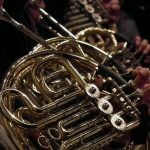 What’s the most important thing to know when choosing a trombone online? Looking for Something Else? Go Custom! A trombone is a common brass instrument found in ensembles such as marching bands, orchestras, jazz bands and as a solo instrument. How does this affect the purchaser? When looking through the market, you will have plenty of trombones to choose from. However, you will need to know what will suit you as the best jazz trombone may not match up to the needs of somebody wanting the best beginner trombone. A trombone is made up of usually 3 parts that are usefully taken apart for storage. Trombones have a lower pitch than most brass or wind instruments so are used to support the bass line or to add depth to the other parts of an ensemble. This instrument is played by the extension of the outer slide to play a range of notes and the manipulation of the lip muscles to play a higher pitch or a lower pitch. Tenor trombone – in the key of Bb the most common trombone type; a versatile instrument. Bass trombone – specialist tone for playing the bass part in the key of Bb, F and D.
Alto trombone – uncommon instrument for modern ensembles in the key of Eb. The difficulty for players with shorter arms is reaching the 7th position with the slide of the trombone. This can be overcome by purchasing a slide extension. 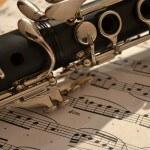 Nothing beats playing an instrument to get to know whether its right for you. The best trombone for you needs to be tried and tested by you. It is best if you can go to your local supplier to have a blow of a few different brands. 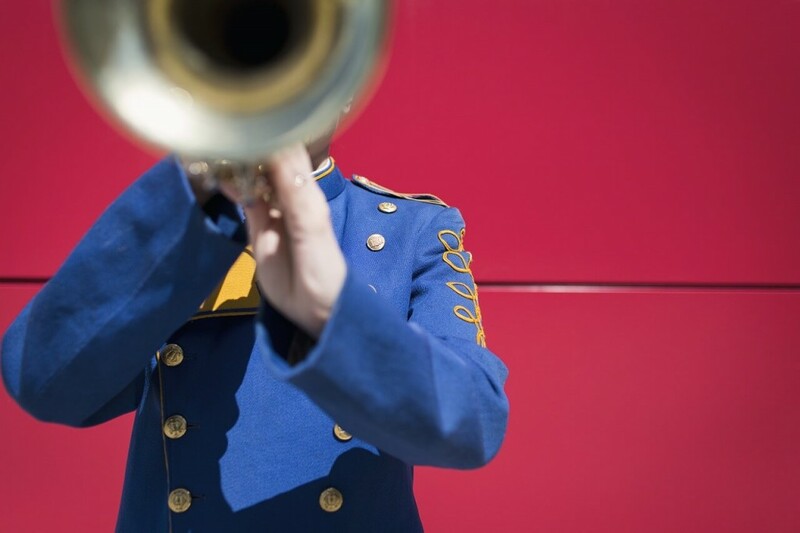 When considering which is the best trombone for you, read about what is the best trombone brand for you below. This list, although not extensive, should give you some great ideas for where to start with your search. Founded by Henderson White in 1893 in Cleveland, Ohio, King Instruments started as the H. N. White Company. 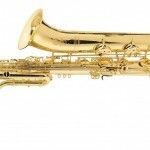 This company is one of the best tenor trombone brands. The first instrument produced by the H. N. White Company was a trombone made in collaboration with (and for) a local trombone player by the name of Thomas King. 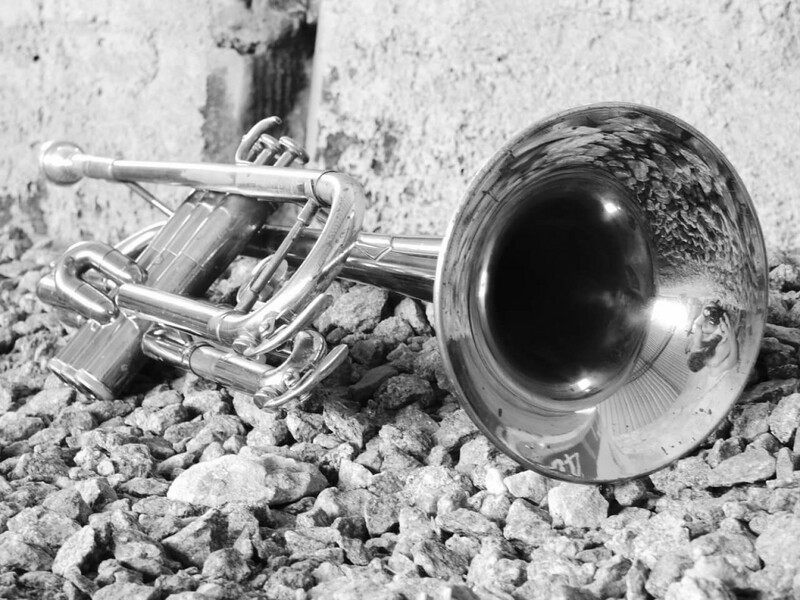 This instrument featured new innovations in the trombone’s bore, bell, and slide and the “King Trombone” was a hit with band players around the country. Eventually “King” changed from a model line into a separate company – King Instruments – and was sold by the H. N. White Company. Today King Instruments are still produced, but the company is owned by UMI (United Musical Instruments), which also owns Conn.
A small bore and bell make this instrument suitable for lead jazz and commercial playing. Slightly bigger in bore and bell size than the 2B, this is still a jazz instrument. 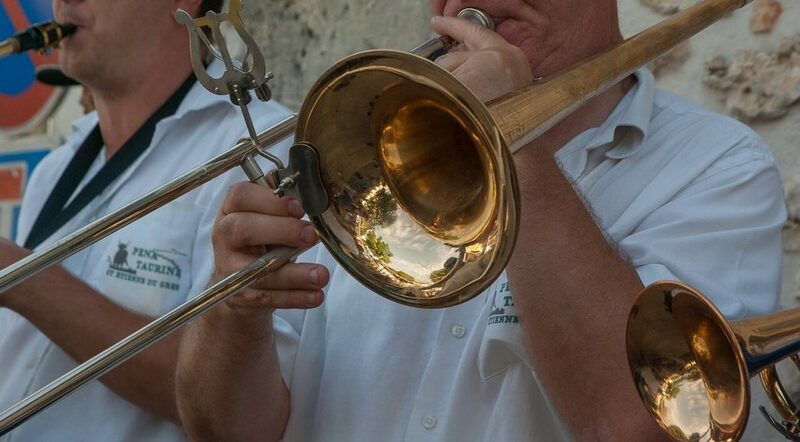 A medium-large bore and bell give this trombone a sound more appropriate to large ensembles. Also available with an F-attachment. Established in 1876 by Charles Gerard Conn and Eugene Victor Baptiste Dupont, the first instrument created by Conn & Dupont was a cornet. Although the partnership with Dupont quickly dissolved, Conn had employed other instrument craftsmen and was soon producing a full line of wind, string, and percussion instruments. 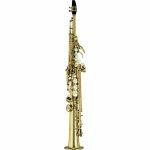 C. G. Conn had great success in the 1950’s and 60’s, although when it moved production of brass instruments from Elkhart, Indiana to Abilene, Texas in 1970 the drop in quality and consistency was noticeable. After being bought by UMI (United Musical Instruments – the same company that owns King) in 1986, Conn moved production of brass instruments up to Eastlake, Ohio, with improved quality control. Conn makes several professional-level trombones. 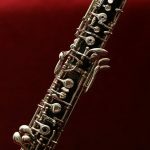 While the instruments made by Conn in the 60’s are very desirable, they are also more expensive, harder to find, and require more care and maintenance. In general, the newer ones vary from “average” to “great” – so remember to try out as many as you can before you buy! A large bore and bell tenor trombone with a standard F-attachment. One of the classic American tenor trombone model, and a great large ensemble instrument. Lots of different finishes, valve, and slide configuration options are available. A classic bass trombone, with a large bore and bell. Available with different valve configurations. The Vincent Bach corporation was founded in 1918 by Vincent Schrotenbach, originally as a manufacturer of mouthpieces for brass instruments. Bach started making trumpets and cornets in 1922 and trombones in 1928. From 1953-1964 the company was based in Mt. Vernon, New York, and instruments produced during this period are highly sought-after. 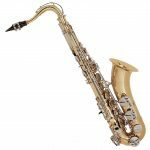 In 1961 the company was bought by Selmer, and brass instrument production moved to Elkhart, Indiana, where it remains today. Much like Conn, the vintage instruments command a price often greater than the new instruments. This doesn’t mean they are necessarily better, however, but make sure to try a few examples of the newer models – often you’ll find one plays a bit better than the others! This brand is one of the best bass trombone brands. A medium-large bore and bell, along with an optional F-attachment. The F-attachment can be either an open or standard wrap. With a larger bore and bell than the Model 36, and a standard F-attachment, this is a trombone for larger ensembles. Available with a variety of valves and wraps for the F-attachment. A bass trombone with a large bore bell, suitable for large ensemble playing. Available with either one or two valves and a variety of valve systems. This is one of the best bass trombone models on the market. Yamaha has a long history with musical instruments since its beginning in 1887 as a piano and organ manufacturer established by Torakusu Yamaha. Today, while Yamaha manufactures a wide variety of products, they are also the world’s largest producer of musical instruments, and have some of the best quality control around! 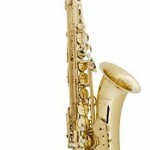 They are synonymous with best brass instrument brands. Yamaha instruments have great quality control, which makes them one of the best professional trombone brands at the same time as best student trombone brand. While older models of King, Conn, and Bach trombones are very desirable, with Yamaha I think the newer models are just as good as the old ones. A great beginner trombone. A relatively small bore and a medium bell make this easy to hold and easy to play for young beginners. The top-of-the-line Yamaha professional model, the YSL-882 features a large bell and bore, and comes with an F-attachment. Different wraps and bell metals are available as options. Yamaha’s top professional-level bass trombone. Like the YSL-882, this is a newer model than the King, Conn, and Bach trombones and what it lacks in “vintage” credibility it makes up for in quality control and design. All the trombones mentioned above are “factory-made” horns. 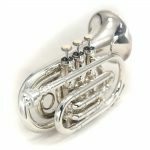 While mass-produced instruments offer advantages in terms of cost and availability, one of the disadvantages that many factory horns have is inconsistent quality – some horns are fantastic, but some horns are definitely not! 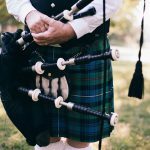 One of the reasons why many of the older instruments are so highly sought-after is the high level of quality control, which was often the result of highly-skilled craftsmen working on the instrument rather than a machine. 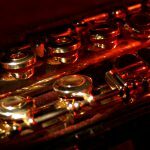 In brass instruments, tiny imperfections in assembly and construction (such as excess solder, crimped or out-of-round tubing, misaligned valves, etc.) can have drastic negative effects on an instrument’s playability, sound, and response. While some trombone players try to get around this by buying a factory horn and then taking it to a professional repair person to have them give the horn a “check-up”, this is not always a practical solution. It takes a highly-skilled repair person to identify and fix some manufacturing problems, and not every town or city has one of those! Plus, there’s the extra cost and time without your (brand new) horn to consider! 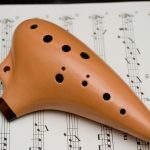 Many people – especially professional players – now just skip the factory-produced instrument altogether and opt for a custom, hand-made instrument. These trombones (while more expensive than the factory models) are made by a small number of people (sometimes just one!) and are carefully assembled to ensure high quality and consistency from one instrument to another. 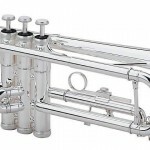 These manufacturers can have wait lists of up to several years, but the result is a trombone which is made to your exact specifications and can be customized in a variety of ways – things like custom finishes, silver or gold plate, metals, different valve configurations, different leadpipes, and more! Some of the most popular custom trombone makers include Edwards, Rath, Shires, and M & W.
If you’re serious about your trombone, and you have the time (and money) to wait, these are the way to get an instrument that plays exactly how you want! Review: The best cheap trombone on the market for a beginner not wanting to over invest. Good for student starting out. Would need upgrading over time. Beginner trombonists to try it out as a hobby. Review: Slick movement on the slide of this trombone makes this a great choice for the jazz musician. Great projection in upper range. Not great for a beginner. 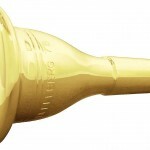 Best trombone for: studio or jazz players. Review: This cheaper Yamaha offers a good, well-manufactured student model. Would need upgrading with ability. Review: This intermediate instrument is well-manufactured and offers clear intonation. 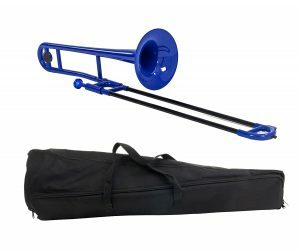 a player moving forwards with their playing, a younger player would benefit from the durability of this trombone. Review: This professional option offers great intonation and projection for the solo performer. the solo trombone player wanted to stand out from the ensemble. Review: This soloist’s trombone will allow you to be clear over larger ensembles. Best trombone for: projecting as a soloist in a large ensemble. Review: This option for intermediate players offers the opportunity to upgrade at a cheaper price than most. Lacks the craftmanship of the Yamaha range. Best trombone for: those upgrading their trombone on a budget. Know what you are looking for before searching. Have a blow on a selection of trombones. Choose the best deal online for you.